In 2017, Clariant achieved very good top-line growth and higher profitability. Chief Financial Officer Patrick Jany explains the business performance and priorities for 2018. Mr. Jany, how satisfied are you with the 2017 results? 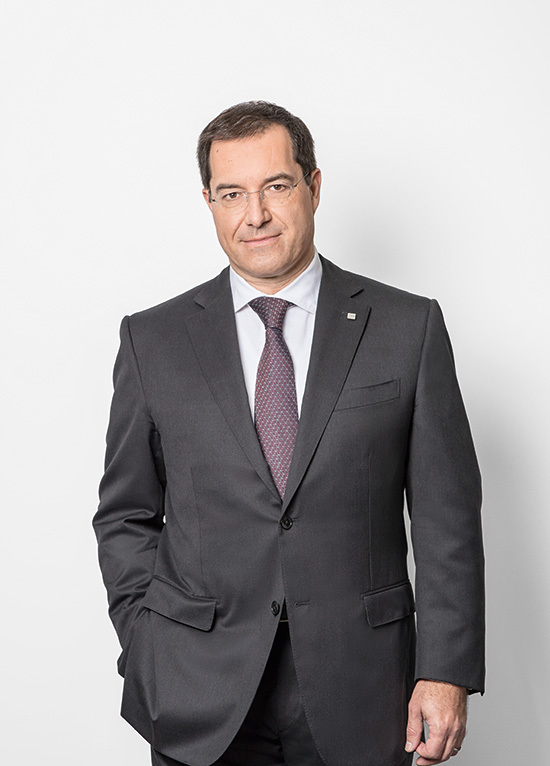 Patrick Jany: 2017 was a good year for Clariant overall. We achieved our growth target and increased sales in almost all Business Areas. This has helped us improve the absolute profitability of the company and to realize real progress. We have not reached all our goals, however. We were not able to fully harness our potential, as we moved too slowly on pricing in the first half of the year. Although the businesses reacted well in the second half of the year, it was a bit too late to significantly increase the margin. The development of the Swiss franc also provided a positive contribution. For the first time in several years, this has allowed us to finally reflect the growth that we have achieved each year in absolute terms. The EBITDA margin – Clariant’s key performance indicator for profitability – increased by 10 basis points to 15.3%. What was the primary source of growth? A portion of the growth stemmed from acquisitions, but we also grew organically in a healthy economic environment. For example, in Care Chemicals, we saw a very good performance in the high-margin Personal Care and Crop Solutions segments, as well as the somewhat lower-margin products with which we were able to fully utilize our capacities. After a weak start to the year, Catalysis experienced a turnaround in 2017 and posted very good numbers, good growth and profitability. We had actually not anticipated such a significant improvement until 2018/19. We can be quite satisfied with that. As expected, Plastics & Coatings grew at 6% and benefitted from the very good economic growth worldwide. The only Business Area that really suffered in 2017 was Natural Resources. The oil business remained in crisis for the third consecutive year, with a slight improvement noted at the end of 2017. In addition to growth, you also planned to increase cash flow in 2017. What was the result of that? The 2017 balance sheet certainly was not satisfactory in this respect. Cash comes from growth, profitability and good net working capital management. All three elements are important. Although we made progress with profitability, we were unfortunately unable to convert this into cash. On the one hand we encountered several exceptional items, such as the costs attributable to the Huntsman project, and on the other hand, we must also significantly improve net working capital management within the company. ... yes, in 2018, it will continue to be our main priority to generate cash flow. Meanwhile, a second wave of raw material cost increases has arrived, as the oil price moved towards USD 70 at the beginning of the year. This will make our raw material purchases more expensive, which is why we are already raising our prices so as not to miss the opportunity a second time. We assume that we can expect a good economic situation in Europe, the U.S. and China in 2018. Even Latin America is slowly recovering. Are China and the U.S. still the regions of focus for investment? Yes. In China, we definitely want to grow and will continue to selectively invest in capacity expansion, research facilities and developing the organization. We will also continue to build the One Clariant Campus headquarters. This will all develop over several years; we are still in the start-up phase. We have already invested in new capacities in the U.S., for example, and we now want to see results. In order to increase our market share, we must invest more in our employees and build local expertise. This does not necessarily entail a multitude of new hires, but it could potentially result in the relocation of standard and routine tasks from the U.S. to our Shared Service Center in India. It is not about reducing headcounts or labor costs, but about providing employees with more time to focus on their core tasks. Outside of China and the U.S., we will continue to invest in innovations, such as the planned bioethanol plant in Romania, which will contribute to the profitability of the company from 2021 onwards. The enterprise value increased significantly. Will an investment in Clariant remain lucrative? Clariant was a very good investment in 2017: our share price rose from CHF 17.57 at the beginning of the year to CHF 27.25 at the end of the year. In an admittedly favourable environment with rising share prices worldwide, low interest rates and a lack of alternative cash investments, we have also shown that our strategy is working. Of course, in addition to the operational component, the planned merger with Huntsman and the entry of the activist shareholder White Tale influenced the share price performance. These developments fuelled break-up and takeover speculation which had supported the share price. This speculation was rather negative for long-term shareholders, as it increasingly attracted short-term investors. As a result, in 2017 the share price became more volatile than warranted by the performance of the company itself, which is fundamentally solid. Our plan for the coming years is to gradually increase profitability and thus continue to support the share price development. We are currently at a turning point. After repositioning the company in recent years, we are now entering a phase where we will generate higher growth, higher profitability and, most importantly, higher cash flow. We also expect this for 2018. Clariant continues to be a good investment for all of these reasons.